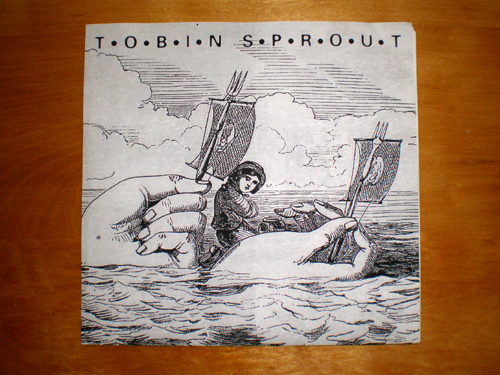 May | 2013 | Dave Andrae's "Blog"
Today I acquired an original copy of one of my favorite pieces of music–the Popstram EP by Tobin Sprout. You can hear what this record sounds like (on Youtube) here. Sprout is best known for his work with the rock band Guided By Voices. Though sometimes overlooked, the music he’s made as a solo artist is no less worthwhile, and strangely endearing. Over the last several months I’ve been delving into it more and more, and somehow, rather than finding it tiresome with repeat listens it keeps getting better and better. Anyone who’s spent time with his debut album Carnival Boy will probably know what I mean. Earlier this week a well-written and fairly thorough article about Sprout’s music, which also covers some of his work as an illustrator and children’s book author, was published here.